If you want to drink more water, get more out of your health apps, and feel better in the process, a smart water bottle just might be the 21st-century invention you crave. Now, to be clear, not everybody wants or needs everything to be “smart”. If you’re proudly using the same steel Klean Kanteen water bottle you bought back in college, you do you (and nice work holding onto a water bottle for that long). But if consistent healthy hydration is a habit you struggle with, a water bottle that tracks, chirps, and works to get your focus back on water sounds like just the ticket. Let’s dig into our favorite smart bottles that will keep you on top of your hydration goals and help form a good habit in the process. You want to track and increase how much water you drink, but you want to do it in style. With the Hidrate Spark 2.0, you can reach your daily H2O goals in serious style. This bottle, paired with their free hydration app, is sure to help you stay hydrated. The app features tracking, reminders, and if you get a friend in on a hydration kick you can even see their progress. The app even includes a map function to show you where you left your bottle if you misplace it. Given that many people keep their water bottle in their bag, that means it also serves as a roundabout tool for tracking your misplaced bag too, which is pretty neat. On top of the app features, the bottle itself is pretty neat: the LED in the bottle glows gently to remind you its time to take a swig or two. If you have a FitBit or Apple Health Kit (or just want to use the included hydration app), you won’t need to manually input your drinking stats—everything is sent over to your phone via the low-energy Bluetooth connection. Speaking of low-energy, you don’t have to worry about charging the Hidrate. The bottle uses two coin-cell batteries and, with regular use, you only need to pop a fresh pair of batteries in a few times a year. While the Hidrate Spark 2.0 is a good pick in terms of visual appeal and basic tracking, you may want to track your intake based off of factors such as your body type, the temperature outside, the temperature of the liquid, your activity level, and your hydration history. 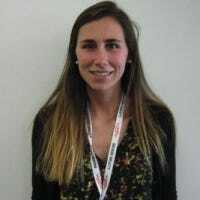 The DrinKup Bottle uses an app to take all of these factors into consideration and more. You can even share your daily status with your favorite fitness apps like FitBit or Apple Health. To start tracking your water intake, just tap the lid when you wake up in the morning, and the bottle does all the work for you—even displaying the percent of your goal on the top of the lid. You can set this goal on your hydration app, which can automatically change based on your activity levels (which are synced using other smart wearables or manually inputted). Unlike the Hidrate, the bottle doesn’t light up (it’s an insulated steel container), so all the on bottle alerts are handled by the lid. Lastly, the DrinKup can last for several months on a single charge, so you can worry about more important things like staying hydrated. While tracking your water intake is important, tracking how much coffee you drink can also impact your hydration levels and general health. 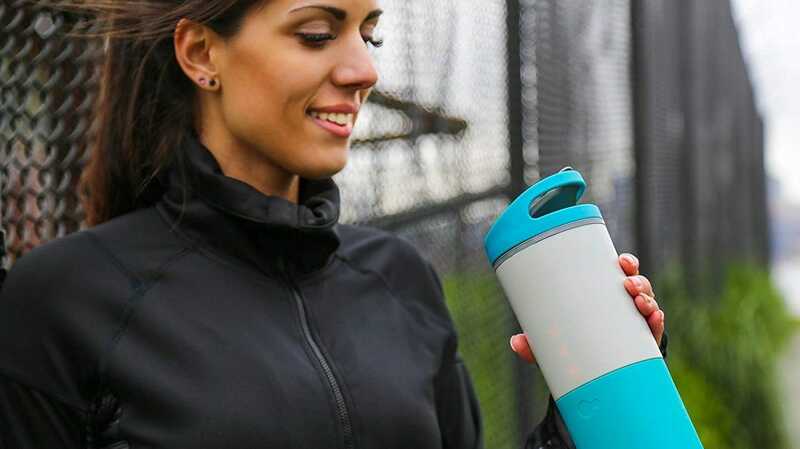 The Ozmo Smart Cup can track both water and coffee consumption. And you’re able to alternate between water and coffee during the day—just choose which one using the Ozmo tracking app. 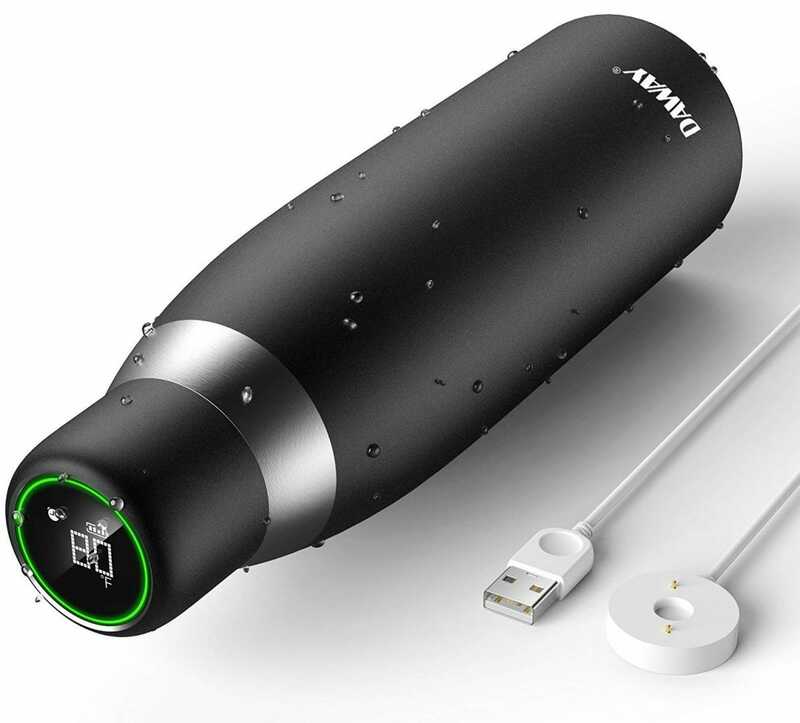 The Ozmo charges by a water-tight USB port and holds a charge for weeks. And with its convenient handle, you can bring this bottle anywhere. Both the container itself and the companion app support vibration alerts, so no matter how busy you are you’ll get a nudge from the Ozmo to drink more. 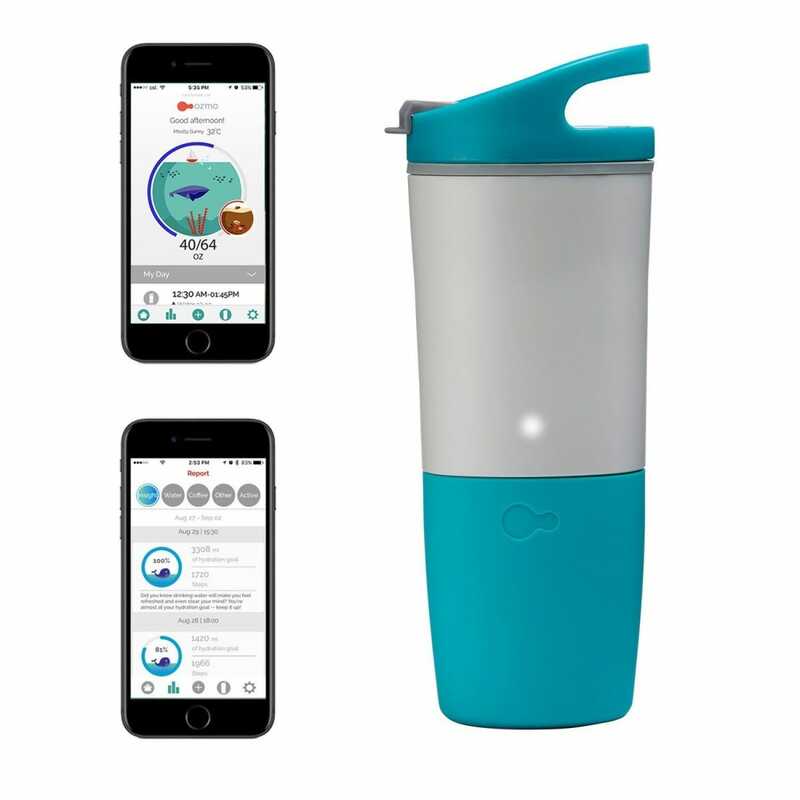 If you have trouble getting your kids to drink water, check out the Gululu Interactive Smart Bottle. This durable, waterproof bottle has a display screen with a creature that leads your child through adventures and games. The more water your child drinks, the more skills, levels, and points they will achieve. Plus, all of the adventures teach healthy habits. Think of it like Tamagotchi that encourages your kids to stay hydrated. 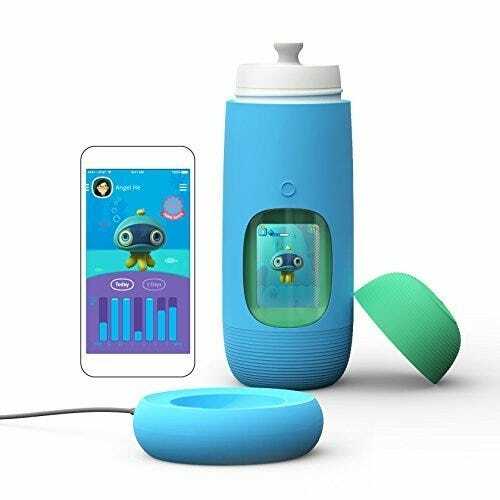 The Gululu comes with an app that lets parents view the progress of your child’s water intake, but as long as your child is taking care of their virtual pet, they’ll keep hydrated. There are even sensors inside of the bottle to make sure your child is actually drinking the water and not pouring it out. Charge the Gululu for 2 hours and it’ll be set for your child’s hydration adventure for the next three days. This bottle is great for instilling healthy habits in young kids, especially because not drinking enough water means their pet will lose its energy! 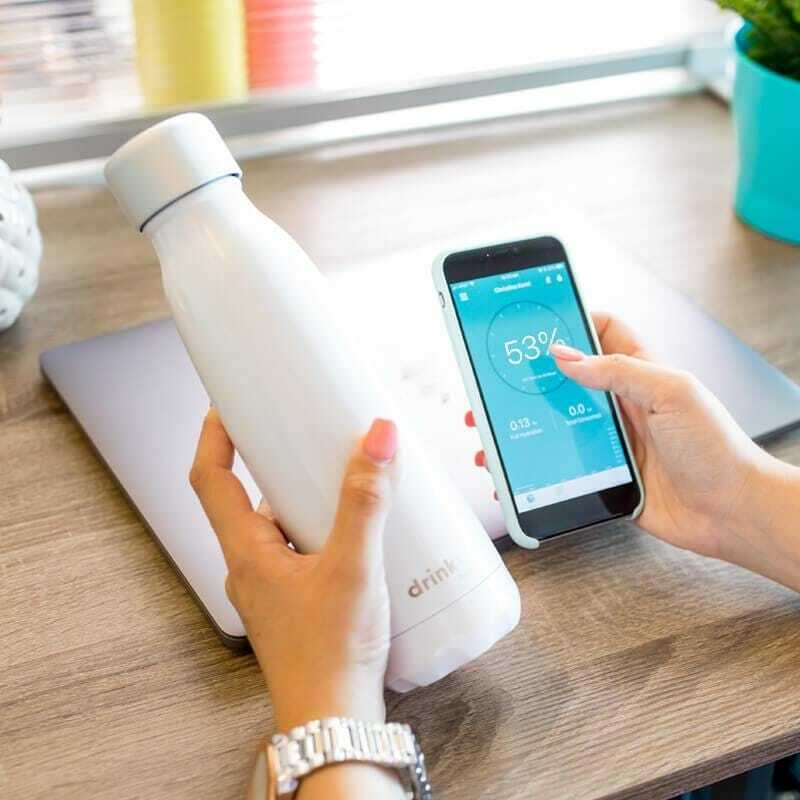 While The DAWAY Smart Bottle isn’t necessarily a “smart bottle,” it’s still a great pick if you’re on a budget and want to get some of the features of a smart water bottle. It’s made of durable stainless steel and is vacuum-sealed and double insulated so your drinks will stay the temperature you desire. Plus, you can see the temperature of your drink on the lid with a tap of your finger. You can also set reminders to drink water, take medicine, or whatever you need. Just program it into the lid, and you’re ready—it’s that easy! You don’t even need to download any apps to keep track of. The bottle itself handles everything. Just charge the lid for 1.5 hours with the provided magnetic charger, and the bottle will be set for the next 30 days. Lastly, there’s an expired water function that lets you know if the water in the bottle has been in there too long and could use a refresh. 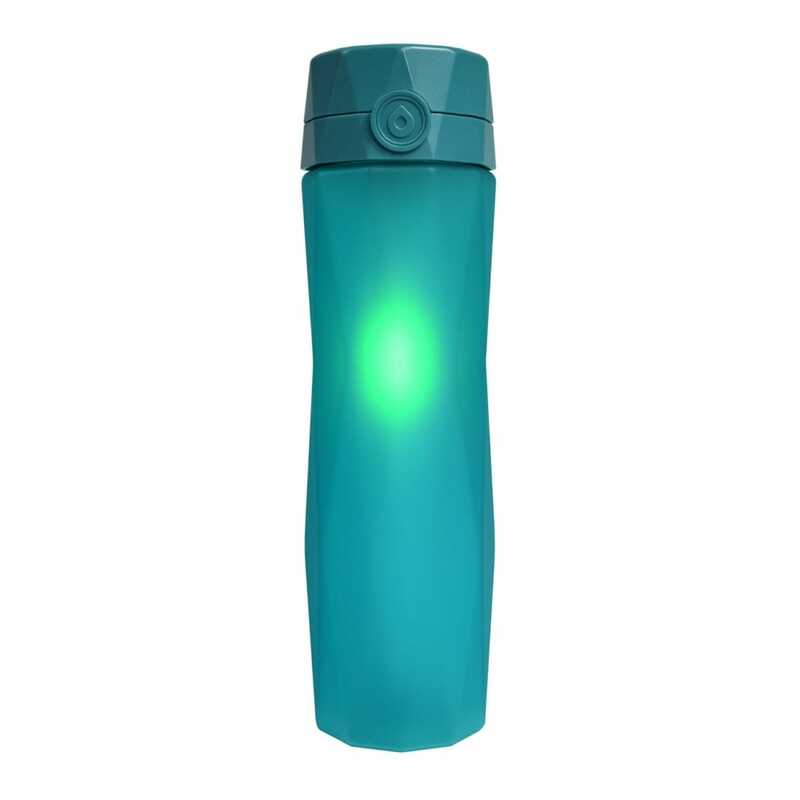 Another even more affordable, “non-smart” option that keeps track of the actual number of bottles you drink is the Joseph Joseph Hydration-Tracking Water Bottle—everytime you twist the bottle top off to refill it, it ticks off one of the tracking LEDs on the lid.